As the threat of Cyber attacks grow, information security is becoming a business critical issue. Recognising this Topspeed are taking a proactive approach to ensure its customers information and security lies in safe hands. During the summer we were accredited for the Government backed Cyber Essentials Plus scheme and are now further strengthening our position by seeking full ISO 270001 Information Security accreditation. The Cyber Essentials scheme was launched in June 2014 as a set of technical controls for organisations to use and was developed by the Government, the Information Assurance for Small and Medium Enterprises (IASME) consortium and the Information Security Forum (ISF). There are two badges that could can achieved and we are delighted to report that Topspeed have been awarded the more in-depth accreditation of the Cyber Essentials Plus. 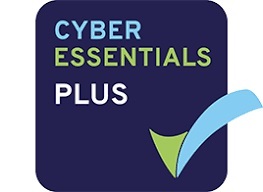 A copy of the Cyber Essentials Certificate can be viewed online here. Posted in News, Topspeed Couriers.